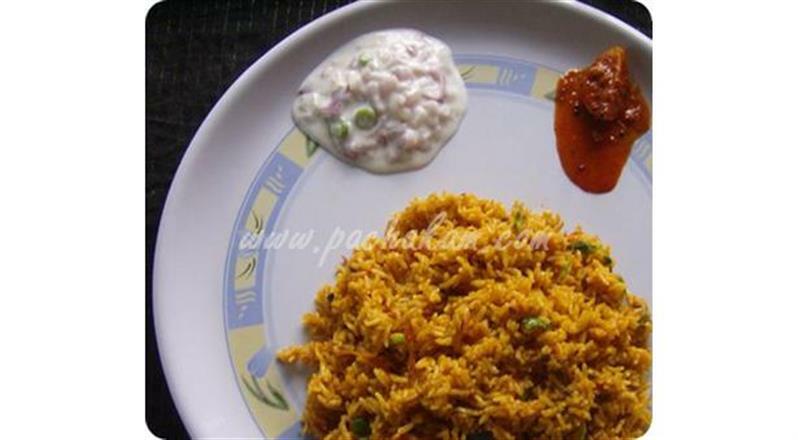 Tomato Rice In Kerala Style is a yummy favorite with a slightly tangy and irresistible aromatic flavor. 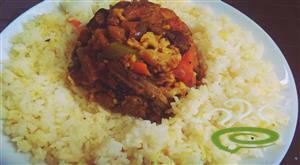 Cooked in coconut milk and natural spices, the dish is one of the easiest preparations that can be prepared in a hurry. 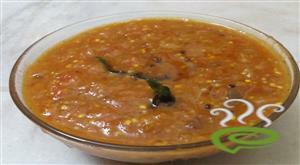 Tomato Rice In Kerala Style is unique and special with rice cooked in pureed tomato mixture and coconut milk. 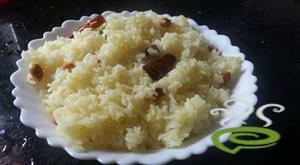 Coconut milk keeps rice soft and moist. Tomatoes are nutritious rich in vital nutrients required for body. Pair the dish with raitha, pappad and here you go enjoying an exquisite comfort meal. 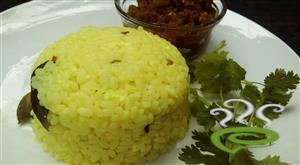 You can explore a well detailed Tomato Rice In Kerala Style here. For preparing Tomato Rice In Kerala Style, first cook the tomatoes in boiling water for a few minutes until the tomatoes are soft. 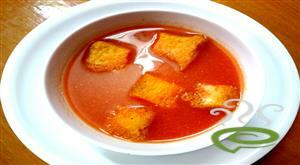 Remove the outer skin of the tomatoes and crush the tomato pulp in a liquidiser to extract 1 cup of tomato puree. Add 1 cup water to grated coconut and blend in a mixer to extract 1 cup of coconut milk. Add coconut milk to tomato puree and heat. Keep this mixture aside. Heat ghee in a wide bottomed vessel and saute cinnamon, cloves, cardamom and cashew nuts. Saute for a few seconds. Add onion and green chillies and saute until the onion becomes soft. Add ground ginger and garlic and fry for a few minutes. Stir in drained basmati rice and fry for a few minutes. Add previously prepared tomato coconut mixture and required salt. Cover with a lid and cook in low heat until the rice is done and water has evaporated completely. 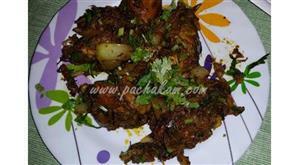 For garnishing tomato rice in kerala style, fry onion in oil to a golden brown color and scatter on top of rice. 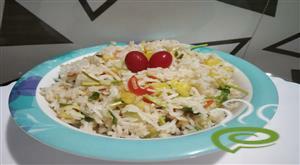 Tomato rice in kerala style is ready and serve with chopped coriander leaves on top. 1)For maintaining accuracy, use the same cup for measuring rice and coconut milk. 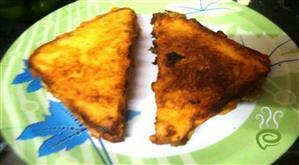 Without using chilly powder or masala powder , how can we eat it?